Our basic goal with this mod was to create a simulation model that we could use to help evaluate, test and tune our real-world cars. We have made an effort to have the model reflect the design, specifications and characteristics of the real car as closely as possible. We are quite pleased with how this initial release turned out. Comparing sim Motec output at Portland ('Vanport') with real-world data shows very good correlation. We've had drivers of various skill levels drive the car in the sim and their Vanport lap times correlated closely with the times they set in the prototype. Overall dynamic behavior is true to life as well. This is very encouraging and supports the use of the sim as a RL development tool. Going forward we intend to do a lot of testing and data comparisons, evolving the real dp4 and the sim model together. We'll be releasing updates to this mod whenever we feel significant enough changes have taken place. In keeping with the realism goals, the options available reflect the actual options you can specify when buying a real dp4. The prices are set to reflect pricing as of December 2010 (subject to change without notice). 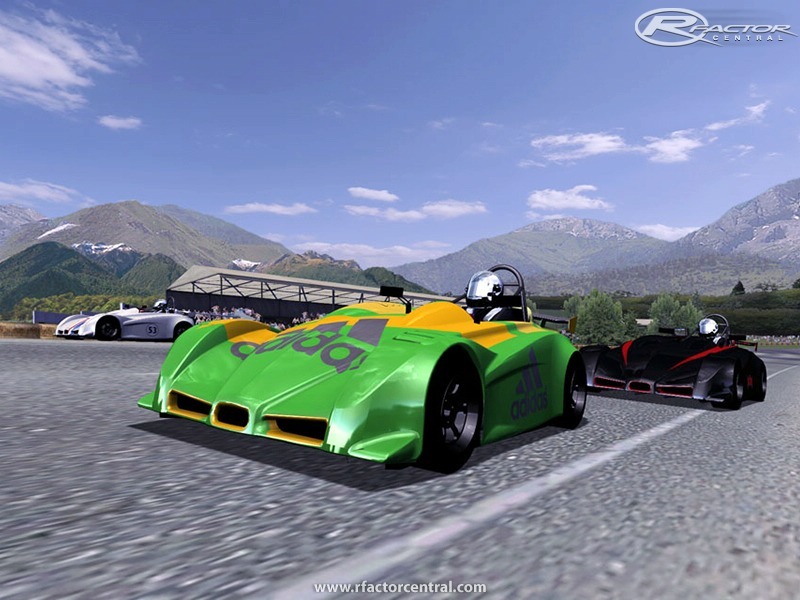 This rFactor mod therefore gives a very good indication of the performance that is available for the money. The dp4 is a very small and light car (under 900 lbs) with a very short wheelbase and significant downforce from full-length tunnels. AWD option is unique in this class and allows very high power levels to be usable at low weight. The suspension features long control arms and carefully chosen camber gain curve. As a result, some settings (and the car's behaviour) may differ from what one would typically see. We therefore encourage drivers to first become familiar with the car in its stock form before jumping into tuning and setups. We've also found that AI does a good job of driving the car so sometimes hitting 'i' and letting the computer do a couple laps is a quick and easy way to see what's ultimately possible with a particular setup. - Real car's steering is fairly heavy with a lot of feel. Logitech setting of 120% and sim setting of medium effects at -100% FFB approximates it somewhat. RealFeel setting of 0 force (maximum) seems to work ok but of course users may choose whatever suits their preference. - The car is very sensitive to rear wing settings. This is true in real life, where it's a real handful without a wing and perfectly planted with a proper wing setup. Even a small thing like addition of endplates makes a difference that ordinary drivers readily notice. - Brake bias is set fairly aggressively forward by default, accounting for the short wheelbase. Moving it back may require more wing which will in turn result in some high speed push. Users can adjust this according to preference. - Car is designed to use minimal camber, in the -0.2 to -0.7 range, and low tire pressures. In real life we run 12 psi hot on slicks and about 15-16 psi hot on R compounds. That said, further development on the mod's tire model is needed so other settings may work better in the sim. The mod was developed during the cold/rainy season so we recorded the sound indoors, at no load, with an iPhone. It definitely needs updating and we'll do so once we can record some proper sounds out on the track next season. how they see that process playing out <a href="https://www.imdb.com/list/ls047180100/">viewership</a>," she said. When pressed, Freeland added: "We discussed how the TPA legislation could come into play <a href="https://www.imdb.com/list/ls047180312/">viewership</a>." 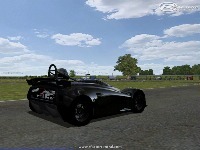 this car (recently renamed to D4) is now available in Simraceway, along with our D1. the SR team has done a lot of work on the physics and other aspects of the car. we recently did a back-to-back test at infineon with real car and SR and the laptimes were amazingly close. a number of tweaks were made to the sim car on the spot, based on real life experience. since SR is putting so much effort into making the sim match reality we won't be making any new updates to the rfactor mod. so anyone wanting to try out the latest-greatest can do it in SR.